National Security Agency whistleblower Thomas Drake faces 35 years in prison on espionage charges for alleged unauthorized “willful retention” of five classified documents. “Espionage is the last thing my whistleblowing and First Amendment activities and actions were all about,” Drake said recently in a public speech. "This has become the specter of a truly Orwellian world where whistleblowing has become espionage." According to The New Yorker, the Obama administration has used the Espionage Act of 1917 to press criminal charges in five alleged instances of national security leaks—more such prosecutions than have occurred in all previous administrations combined. We play excerpts of Thomas Drake’s first public comments and talk to former Justice Department whistleblower, Jesselyn Radack. AMY GOODMAN: A new exposé by Jane Mayer in The New Yorker magazine has revealed more details about the Obama administration’s crackdown on whistleblowers. The article focuses on former National Security Agency analyst Thomas Drake, who’s being prosecuted for leaking information about waste and mismanagement at the agency. Drake was the source for a Baltimore Sun series on the NSA’s overspending and failure to properly maintain its large trove of domestic spy data. Drake faces 35 years in prison for espionage but isn’t actually accused of spying. Instead, he’s accused of holding on to classified documents in his basement that he says he didn’t know were classified. His trial is set to begin next month in U.S. District Court in Baltimore. Overall, The New Yorker magazine reports, the Obama administration has used the Espionage Act of 1917 to press criminal charges in five alleged instances of national security leaks—more such prosecutions than have occurred in all previous administrations combined. Gabriel Schoenfeld of the Hudson Institute said, "Ironically, Obama has presided over the most draconian crackdown on leaks in our history—even more so than Nixon." Drake received the Ridenhour Prize for Truth-Telling last month. In his acceptance speech, he criticized the prosecution of whistleblowers. THOMAS DRAKE: Truth tellers, such as myself, are those who are simply doing their jobs and honoring their oaths to serve their nation under the law of the land. We are dedicated to the proposition that government service is of, for, by the people. We emphatically do not serve in order to manipulate on behalf of the powerful, nor to conceal unlawful, illegal or embarrassing secrets from the public, because truth does matter. Truth may be inconvenient. It may cause embarrassment. It may threaten the powers that be and their unlawful activities, but it is still the truth. I have but this one life to live. AMY GOODMAN: That was whistleblower Thomas Drake. For more, we’re joined by Jesselyn Radack in Washington, D.C., homeland security director of the Government Accountability Project, a whistleblower advocacy group. Radack is a former ethics adviser to the Department of Justice, who herself came under attack after bringing to light ethic violations in the FBI’s interrogation procedures, particularly in relation to John Walker Lindh, when she warned those involved with taking him back to the United States that he needed to be able to have access to his lawyer. Jesselyn Radack, welcome to Democracy Now! Talk about, first, Thomas Drake and the significance of Thomas Drake’s case. JESSELYN RADACK: This case is hugely significant. I’m glad it’s finally being put under a microscope and looked at for the farce that it is. It has huge implications that the Obama administration is not only prosecuting whistleblowers, but doing so under the Espionage Act, which is meant to go after spies, not whistleblowers. And it’s even more ironic because this is coming from an administration whose mantra is to look forward, not backwards at torture and warrantless wiretapping. But apparently it’s willing to look backwards at the people who blew the whistle on precisely that kind of wrongdoing. So this—again, legally, it could set a terrible precedent for both sources and for journalists, but on a larger level, for secrecy and the secret surveillance state. And it would be a backdoor way of creating an Official Secrets Act in this country, which we don’t have. AMY GOODMAN: I wanted to play more of what Thomas Drake has to say. He spoke for the first time to Jane Mayer. But I think it’s important to hear him in his own words. He was awarded the Ridenhour Prize for Truth-Telling by the Fertel Foundation and the Nation Institute. The organizations said he risked his career and freedom when he "exposed the ethical, budgetary and acquisition shortcomings" at the Nation Security Agency, the NSA, including a multibillion-dollar program that was designed to analyze communications data. This is another excerpt of his speech. THOMAS DRAKE: I have already paid a frightfully high price for being a whistleblower. But worse still lies ahead of me. Although I took an oath to support and defend the Constitution and faithfully upheld the law of the land over a public service career spanning more than 20 years, I now stand before you as a criminal defendant, with my own life and liberty very much at stake, in a public trial set to begin on 13 June in Baltimore, Maryland. My case is centered on a government prosecution bent not on serving justice, but on meting out retaliation, reprisal and retribution for the purpose of relentlessly punishing a whistleblower. Furthermore, my case is one that sends a most chilling message to other would-be whistleblowers: not only can you lose your job, but also your very freedom. The government made my cooperation with official investigations a criminal act. It is now apparently a federal crime to report illegalities, malfeasance, fraud, waste and abuse perpetrated by our own government. The government is making whistleblowing a crime. They are making dissent a crime, especially when it embarrasses the government and calls the government to account. What is the difference between my situation and that of the Chinese artist who was detained when trying to leave his country because Chinese authorities deemed him a threat to national security? The fact remains that the heart of my case rests directly on whistleblowing and First Amendment activities involving issues of significant and even grave concern in terms of government illegalities, contract and program malfeasance, as well as fraud, waste and abuse, protected by the Constitution, case law and statutes. And yet the government is censoring and criminally prosecuting protected communications I made in furtherance of government investigations, and doing so under the Espionage act. Espionage is the last thing my whistleblowing and First Amendment activities and actions were all about. This has become the specter of a truly Orwellian world where whistleblowing has become espionage. AMY GOODMAN: That was Thomas Drake, who faces 35 years in prison for espionage. I want to talk about Thomas Tamm. He is the former U.S. Justice Department attorney who helped expose the Bush administration’s domestic warrantless eavesdropping program that intercepted private email messages and phone calls of U.S. residents without a court warrant. Thomas Tamm and Thomas Drake have a lot in common. They both blew the whistle on malfeasance and illegality at the National Security Agency. However, Drake still faces 35 years in prison, while Tamm is no larger the target of criminal inquiry. I asked Thomas Tamm recently on Democracy Now! why he believes the charges against him were dropped. THOMAS TAMM: I mean, it’s very difficult to prosecute someone such as myself, recognizing that what I did was reveal something that was against the law. And I also believe that it would have been a problem proving the case against me, because President Bush, the day after that article was published, basically acknowledged that the program existed. In fact, he almost seemed like he was proud of the fact that there was warrantless wiretapping, you know, to supposedly protect the country. In my opinion, he revealed more classified information than I ever did. And the bottom line is, as we mentioned earlier, I didn’t turn over any documents, I didn’t reveal any sources. And really, the bottom line is, I don’t think I ever broke the law. AMY GOODMAN: That was Thomas Tamm. Jesselyn, tell us why Thomas Drake is receiving such different treatment. 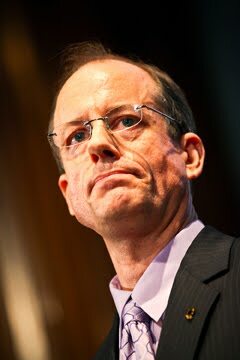 JESSELYN RADACK: I think—I mean, interestingly, Thomas Drake landed on the government’s radar screen as part of the massive million-dollar ongoing leak investigation, leak investigation, that it launched after the publication of the New York Times’ Pulitzer Prize-winning story on warrantless wiretapping. I think, basically, you know, it defies any meaningful reason that people like Tom Tamm, who admitted to being sources for the Times, are not prosecuted—not that I want Tom Tamm to be prosecuted. Neither he nor Drake should be prosecuted. But it goes to why they’re going after Drake. And I think that they feel they need to bring home a scalp as a result of this sprawling investigation that has eaten up the time of five full-time prosecutors and 25 FBI agents. And it certainly is deserving of a little oversight by Congress and some auditing by the GAO. I think that’s why they’re going after Drake. I think they also like the Drake case because they can go after him without having to go after or implicate or target a reporter. I think that’s another reason. For whatever reasons, I mean, it really is perplexing why they’re doing this, why the Obama administration, in particular, is doing this. AMY GOODMAN: I mean, you have this differential treatment. Former Bush administration officials, if we all remember, John Deutch, the former CIA director, who had classified information at home, Alberto Gonzales, the former attorney general, both faced much less stringent punishment after taking classified documents home without authorization. Even Sandy Berger, Clinton’s national security adviser, smuggled classified documents out of a federal building, reportedly by hiding them in his pants or his socks. What about this differential treatment? JESSELYN RADACK: Yeah, absolutely. You know, it’s selective prosecution and, I would argue, an abusive prosecution. First of all, you don’t—I mean, you have people like Bob Woodward publishing books with much higher-level, tippy-top classified information, not [no audio]. And then you have other people who have taken home classified information, on purpose, who get a slap on the wrist. And then you have Tom Drake, who is alleged to have taken home classified information, but we’re talking about five very innocuous pieces of information that were only deemed to be classified after they were seized from his home and after the government did a forced classification review of them. I mean, it’s definitely selective and, I think, quite vindictive. AMY GOODMAN: Also from Jane Mayer’s explosive piece in The New Yorker, she quotes Mark Klein, the former AT&T employee who exposed the telecom company wiretaps, also dismayed by the Thomas Drake case. Mark Klein says, "I think it’s outrageous. The Bush people have been let off. The telecom companies [got] immunity. The only people Obama has prosecuted are the whistle-blowers." Jesselyn Radack? JESSELYN RADACK: Right, that is absolutely correct. Again, you would think as part of the "we’re going to look forward, not backwards, at wrongdoing," that that would preclude—I mean, if that precludes going after the people who engaged in torture and warrantless wiretapping, then it really adds insult to injury to be going after a whistle [no audio] break, who blew the whistle on secret domestic surveillance programs that were selected over cheap, effective programs that had built-in privacy protections to protect U.S. citizens. And it sends a very chilling message to whistleblowers, on whose back Obama was elected. Obama was elected in part based on revelations that were brought forth by whistleblowers revealing torture and electronic eavesdropping. So it’s really a slap in the face that this is being done to Drake. But more than that, it’s the clanging of jail doors, because they’re trying to put him away for the rest of his natural life, which is completely unacceptable. I urge everybody to take a closer look at this case. And we have a petition on change.org—just type in "Tom Drake"—calling for some desperately needed congressional oversight here, because there has been none. AMY GOODMAN: Jesselyn Radack, we just have a minute to go, but I wanted to quickly ask you about John Walker Lindh, because he remains in jail. We interviewed his parents—I encourage people to go to our website—for an hour about his case. But quickly say what it was that you did that caused you to be pushed out of the Justice Department and where the case stands today. JESSELYN RADACK: I was an ethics attorney at the Justice Department, so I’m really laughing over the last segment about John Ashcroft now being an ethics counsel for Blackwater. But I had advised not to interrogate a U.S. citizen without his counsel, and parenthetically, not to torture him. I didn’t think my advice was particularly radical, but the Justice Department sought to put me under a criminal investigation and refer me to the state bars and put me on the no-fly list. However, that pales in comparison to what is being done to Tom Drake, who they’re threatening to imprison for telling the truth. AMY GOODMAN: And interesting, it was John Ashcroft, the attorney general, under whom you worked, who said he was given full access to an attorney, when in fact you understood that he was interrogated without an attorney, though his father said he had one for him. JESSELYN RADACK: All public records support that he did, in fact, have an attorney and that he was tortured and interrogated, even though he signed a plea agreement saying that he would never sue for being tortured. It’s clear that he had an attorney, and they were not allowing him access to James Brosnahan. That’s name of the attorney who had been retained to represent him. In a similar kind of way, Drake tried to cooperate with the government and tried to report high-level criminal wrongdoing at the NSA. And again, instead of investigating that criminal wrongdoing that led to one of the greatest scandals of my generation, instead they have chosen to go after Tom Drake, Tom Tamm, Russell Tice, people who were blowing the whistle on that misconduct, although people who engaged in it have gotten off scot-free, and laws have been passed to protect those lawbreakers. AMY GOODMAN: Jesselyn Radack, I want to thank you for being with us, former ethics adviser to the U.S. Department of Justice, currently homeland security director of the Government Accountability Project, the nation’s leading whistleblower organization. Thomas Drake is a former National Security Agency NSA employee who is being prosecuted under the Espionage Act for retaining, not leaking, classified information in conjunction with a Department of Defense investigation into massive NSA fraud, waste, abuse and illegality and a series of news articles that revealed gross mismanagement and terrible waste in the agency. Prior to joining the NSA in 2001 as a full-time employee, Drake served for ten years in the U.S. Air Force, completed a stint as a CIA analyst, and worked as an NSA contractor. During Drake’s work with the NSA, he became familiar with ThinThread – a data collection program that could efficiently and cost-effectively sift through massive amounts of public data for patterns useful to analysts. Drake and Radack at the Ridenhour awardsThe agency dropped ThinThread in favor of a different data collection proposal: Trailblazer. Trailblazer was more expensive, undeveloped, and lacked critical protections needed to safeguard Americans' privacy. Drake was most concerned that the decision to implement the Trailblazer program, which cost over 1 billion dollars, amounted to gross fraud and waste of taxpayer monies, and that the NSA had deliberately begun domestic surveillance that was illegal and unconstitutional. Drake raised these concerns through official channels, including senior NSA management, the Defense Department Inspector General, and Congress. NSA ignored Drake's concerns, and retaliated against him. In 2005, a reporter from the Baltimore Sun published a series of articles about waste, fraud, and abuse at the NSA – including the Trailblazer program. While Drake confirms that he did communicate with the reporter, he did not reveal any classified information to the media. In April 2010, Drake was indicted by the Obama administration under the Espionage Act for retaining (again, not leaking) classified information. He is facing 35 years in prison.